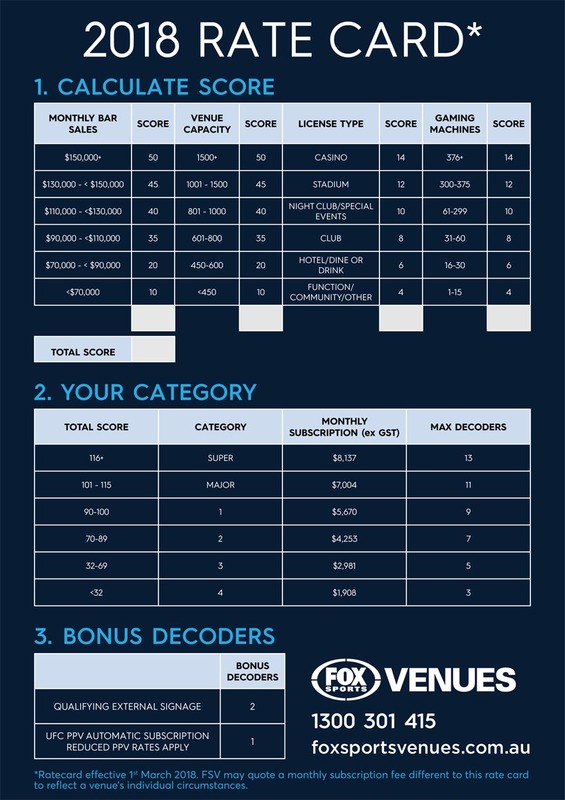 Fox Sports is rolling out new rates for select pubs around the country, with increases in the region of 30-50 per cent made possible by the current monopoly that is essential sports content. Foxtel recently merged with Fox Sports (FSV), and is the sole provider for the commercial broadcast of sports within licensed venues such as pubs. Since its acquisition of country provider Austar in 2012, it has continued a two-tier rates scale for metro and regional venues. But like many media entities, the company is consolidating operations and costs, and determined to bring all pubs onto the same scale paid by most city venues, despite regional margins being far tighter on average than the cities. The new universal rates (below) are a sliding scale based on several criteria, roughly equating to profitability, but not necessarily bearing any relation to numbers of sports viewers. The rating system judges pubs on bar takings, capacity, and number of EGMs, although no operators interviewed would ever put sports TVs on in the gaming room. In fact the ‘pay per view’ subscription model would seem to preclude anyone playing a poker machine. 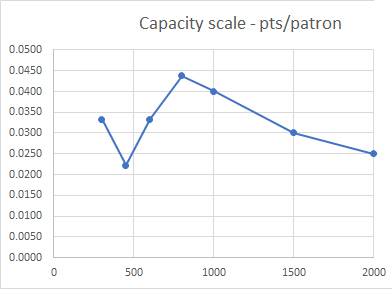 While an appropriate metric for viewing numbers might be based on bar takings and capacity, this does not factor in patronage such as in functions or nightclubs, where no-one is watching the TVs. 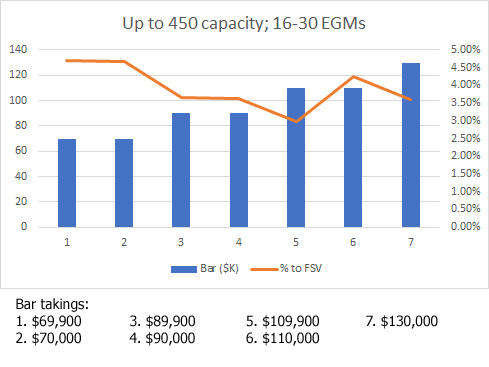 The stepped increases for bar takings mean those at the lower end of each bracket are paying around four per cent of gross bar turnover to show FSV. The lowest venue category is 28 times what a private residence pays for the same content. The stepped capacity scale means venues with 800-1000 patrons are paying the most to bring them sports television, regardless of what they are doing in the pub. PubTIC has spoken with regional publicans across several states, and found on the new rate system they are destined to be paying typically 40-50 per cent more than they are now. One source calculated that across four venues he would be paying an additional $130,000 per year for FSV. He suggests this will inevitably bring cuts to staff hours, donations to charities and promotions for sporting clubs. Publicans feel as though the pricing system is simply based on their ability to pay. PubTIC asked FSV head of commercial Ben Campbell why the system includes number of EGMs, and if they saw improvements in a pub’s performance as directly correlating with showing FSV. A spokesperson replied that the new national system is fairer. “Foxtel is working to ensure the price venues pay for its service is fair and consistent. We are applying a standard rate card that captures the differences between large venues and small regional or city hotels. It has been suggested that such a fundamental rate change would allow venues to tear up their current contracts, but while the opportunistic price rise will likely prove too much to bear for some, most do not have the luxury of discontinuing what is essentially a vital element to remain competitive. And smaller pubs that do switch off the decoder will likely lose trade to the local Clubs, enjoying far lower tax rates. Many have suggested they would gladly try an alternative – were there a competitor in the market to licence sports programming. FSV’s absolute power has already determined a further five per cent increase across the board in March 2019, in part due to a one-off levy for the ‘Cricket Channel’, irrespective of whether it is displayed or not. Pubs around the country are or will be receiving news of the rate rise over coming weeks, being told unceremoniously to expect the bigger bill next month. It’s understood the AHA is involved in talks with Foxtel, and is not happy with members paying more, but cannot comment at this stage. The Australian Competition and Consumer Commission (ACCC) says that generally speaking, businesses are free to set prices as they see fit, but while collective bargaining for small businesses is illegal under Australian Competition Law, the Commission says there are frequent exceptions, and it is currently considering a class exemption that would allow small businesses to bargain with big suppliers. “Businesses can apply for an ACCC exemption from competition law to collectively bargain where this results in a net public benefit. ACCC deputy chair Mick Keogh told SmartCompany that in the majority of cases involving small businesses negotiating with big business there’s no question collective bargaining would lead to a net public benefit. Venues that believe the new rates may be prohibitive are invited to make contact here.